providing diversified vaping experiences to all the vapers. be fully collected to produce larger cloud and denser flavor. able to transfer the battery energy to heating wires without losses. Thus, it&apos;s more power-saving and more durable with faster response. gel, insert the new one, and press it down tightly. 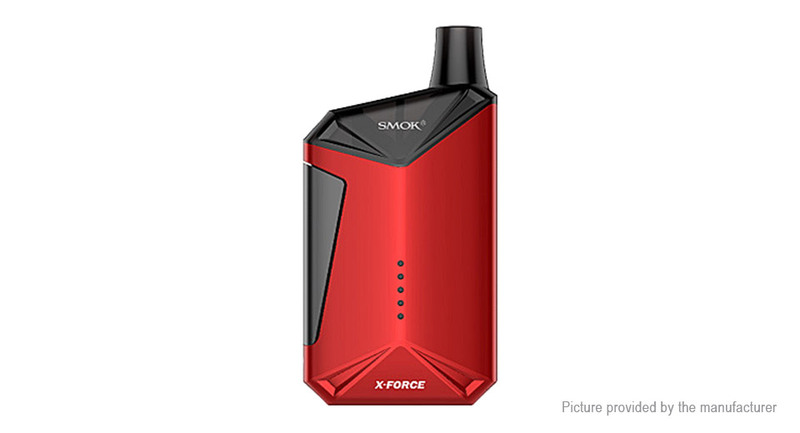 represent its special identity — your exclusive vaping guard. A vertical arrangement of 5 LED indicators can clearly show you the battery life. Battery running state at your fingertips: If the battery is fully charged, these 5 LED lights will stay on all the time. Multiple automatic-protections: X-Force provides multiple protections to avoid potential risks.